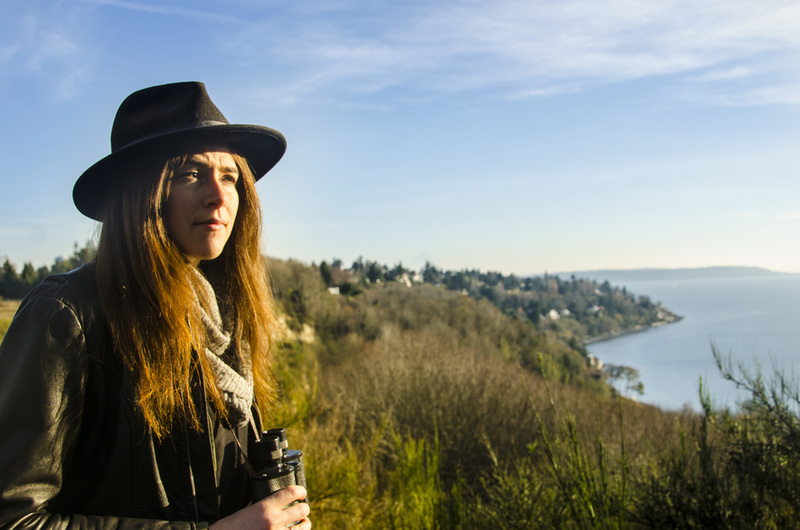 Chirp is an application that allows people to track and identify birds through their phone that accesses information gathered by a system of microphones placed throughout Discovery Park. These microphones use an algorithm that can record, identify, and log different birdcalls. From the Sound Map you can see visually if the microphones are picking up any bird activity, as they will admit an expanding ring from the point of interest. If you tap on the point of interest you can scroll through a list of the birds identified by that microphone and how long ago the bird was identified. While the scope of our project required the application be focused on Discovery Park, I feel these designs could be useful anywhere. This feature allows you to record a bird call from your phone and match it with the proper bird. The search option will allow you to look up a specific bird. Once you are on the bird’s main page you can set a notification for when the bird is identified within the park, you can get basic information about the bird, and you can also scroll through a frequency graph that shows how many times the bird was recognized within the park on a monthly basis. The goal of this project was to create an interactive application to better suit the needs Discovery Park-goers. The first few weeks working on this project seemed to be getting us nowhere. We lacked a clear goal and so our initial ideas offered very little for the improvement of Discovery Park. Our first step in the right direction was to pick a group of people we thought we could help, birders. Serious birders prefer not to be called birdwatchers. They set themselves apart in their more scientific approach to the hobby. They follow a strict code of ethics and often dedicate a serious part of their lives to support their passion. We found that most of their success relied on old tools and physical field guidebooks and that there was an opportunity to help them with modern technology. What modern tools are available? Most of the Birding applications on the market are digital versions of classic field guides generally with access to recording libraries of birdcalls. There is currently nothing available that can identify a bird for you simply by its call. Taking these competitors into mind helped us decide where we wanted to focus to improve the experience of those looking for more information about birds.